On October 4, 2016, Lauren Smith was an instructor for a seminar entitled “Human Resources Law from Start to Finish.” The National Business Institute sponsored the seminar, designed for attorneys, human resources personnel, accountants, and business executives. Ms. Smith regularly consults with clients on day-to-day employment matters involving employee policies and handbooks, discipline and termination, and exemption classifications under the Fair Labor Standards Act (FLSA). 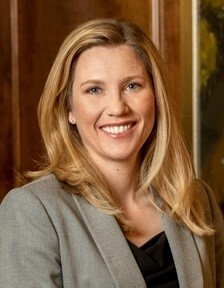 Ms. Smith has represented clients in litigation involving various forms of employment discrimination and claims arising from the Family Medical Leave Act (FMLA) and the Americans with Disabilities Act (ADA).